You’re Welcome! The Yacht Rock Revue™ is the Greatest Show on Surf and the finest tribute to ‘70s light rock to ever perform anywhere. Ever. Their spot-on renditions of Hall & Oates, Michael McDonald, Steely Dan, and the rest of the Time-Life Infomercial Catalog have enthralled fans across the United States. It goes without saying they have taken their act to the high seas, performing showcase sets on music cruises with Weezer, Kid Rock, Train, Zac Brown Band, Sister Hazel, and fitness guru Jillian Michaels. 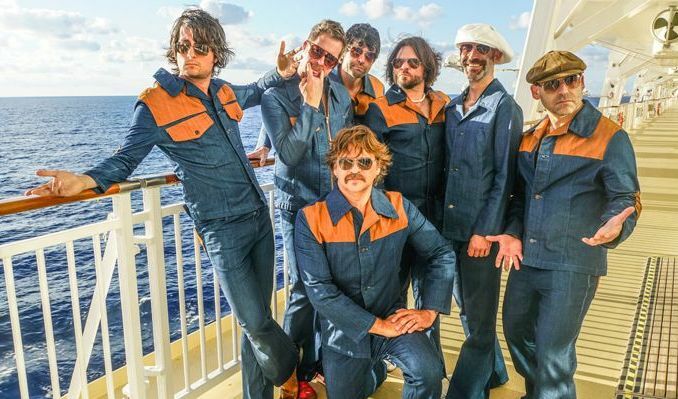 By blurring the lines between a tribute, an original act, and a comedic troupe, the Yacht Rock Revue™ has forged a unique niche market and a special bond with their fans. The band attacks each song as if it were their own, and the energy exchanged between the band and the crowd has more in common with a stadium U2 show than that of a typical bar band.